I got a pretty decent amount of reading done last week. 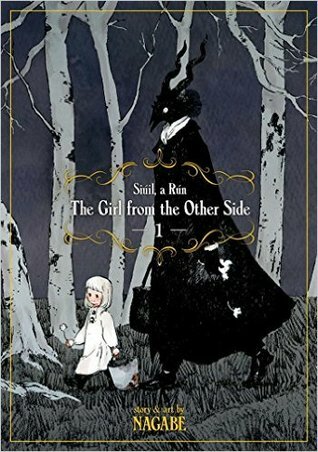 First up, I read the first three volumes of The Girl From The Other Side. This is sort of a strange series and I’m still not sure 100% how I feel about it, but I also know I want to continue it. I will post a review of this one once I am done with the series. 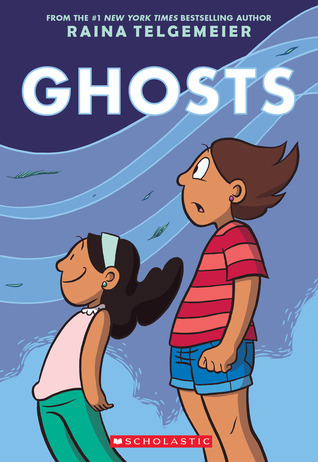 Next I reread Ghosts. I had read this one last year and liked it, but never got around to writing a review for it, so I had to reread it in order to remember the story enough. I’ll be posting the full review of this one in February. Despite being fairly busy, I also managed to watch quite a few things. Firstly, I watched Your Name. I felt this was the perfect movie to start off the new year and I really enjoyed watching it again. We ended up watching Ferdinand in the theatre in town and while I thought it was okay, hubby and the boy really enjoyed it, so that made it all worth while. I also watched Hercules And The Amazon Women, and Hercules And The Lost Kingdom. On the PVR I knocked out about a dozen episodes of The Incredible Dr. Pol, a couple of episodes of Alaska: The Last Frontier and an episode of My 600lb Life. Well, it was busy last week. I don’t know how I managed to get everything done and still find time to sleep, but I did. On top of all that reading and TV watching that I did, I also started to regularly exercise. This is one of my goals for the year, to get back in shape, and exercising plus eating healthy, is exactly how I am going to do that. I also started doing yoga, which has really helped keep my muscles from getting too sore and helping with my flexibility. The first two days were hell for this, as I could barely move afterwards, but as the week went on I wasn’t as sore and was starting to feel good about it all. I also had a big dog treat order, so I spend one day baking for that. On the weekend, I cooked up a bunch of meat for future homemade dog food, as well as did a bit of meal prep for myself for next week. I only did meal prep for breakfast and snacks this time, as I wanted to ease myself into it and not get overwhelmed by it. Since it was also far too cold to go outside during the week, I busied myself with cleaning the house and making a big list of things I want to get done this month and over the course of the year. 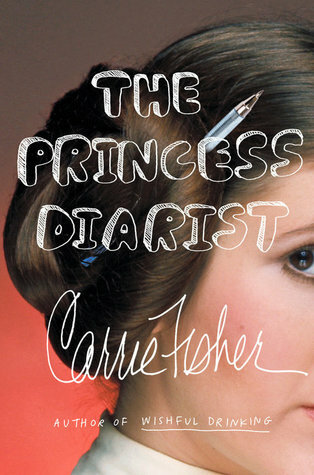 Well, since Bout of Books runs this week, I will devoting a lot of time to reading. My plan is to first finish reading Final Ride, which I started on the weekend but didn’t have enough time to finish. After that, I will just be working through as many books from my January TBR pile as I can. I will continue to go through some shows that have been collecting on the PVR, as well as watching more Hercules. I will probably try to sneak in a movie or two as well over the course of the week if I can. I am going to continue with my daily exercising, as I’m now looking forward to it, as well as my yoga. I will also be doing another batch of meal prep on the weekend, this way when I’m hungry I don’t have to worry about cooking anything, I can just grab, heat and eat. I hope to tackle cleaning out and reorganizing the laundry room this week, as it felt into a state of chaos over the holidays and now need to be put back together. One of these days I’m going to participate in Bout of Books. You definitely should. It’s not only a great excuse to read lots, but the challenges are fun and everyone participating makes it a sort of social event as well. Good luck with your new exercise routine. I’ve been curious about yoga but not enough to search out a class yet. Enjoy Bout of Books too. Come see my week here. Happy reading! Thanks. I don’t do a class for yoga, I just looked up yoga videos on Youtube until I found one that looked good. I’m not brave enough to go out and do yoga is a social setting.